Agilent Technologies Inc. (NYSE: A) recently announced new versions of its Advanced Design System and Electromagnetic Professional software. 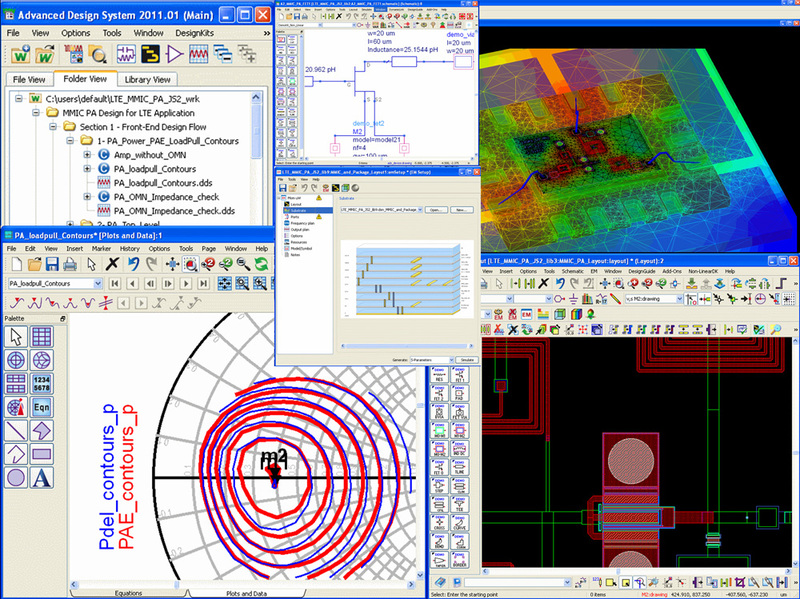 ADS 2011.10, the latest release of Agilent's flagship RF design software, and EMPro 2011.11, the company's updated 3-D modeling and simulation platform, both feature enhancements to further speed and improve RF design and verification. A design documentation notebook that makes it easy to create and share all or selected views of schematics, layout and data displays, and generate PDF and PostScript outputs files. The ability to more easily create native air bridges in ADS layout and the substrate editor for Momentum and finite element method 3-D EM simulation. RF power amplifier design and analysis improvements to the Load Pull Design Guide. An easier multi-technology EM assembly simulation setup (which comes from the ability to use a single substrate definition for both Momentum and FEM simulators), an improved user interface and a new FEM multithreaded iterative solver that delivers a 2X speed improvement. Improved PCB interoperability stemming from a more effective transfer of PCB via Pad stacks and ODB++ import improvements. In addition to these features, ADS 2011.10 also now supports Agilent's new 89601B Vector Signal Analysis software, and offers redriver/retimer models for the HSD channel simulator, as well as native ADS 2011 PDK documentation and a sample design kit. Agilent has also significantly improved ease of use and error detection for Desktop LVS. EMPro 2011: provides speed and accuracy improvements, and is tightly integrated with Advanced Design System. A fast FEM iterative solver that provides an additional 2X speed improvement (on top of the 2X speedup already realized in the 2011.07 release) for simulations that include internal ports, reflecting Agilent's ongoing commitment to fast-paced advancements in simulation technology. 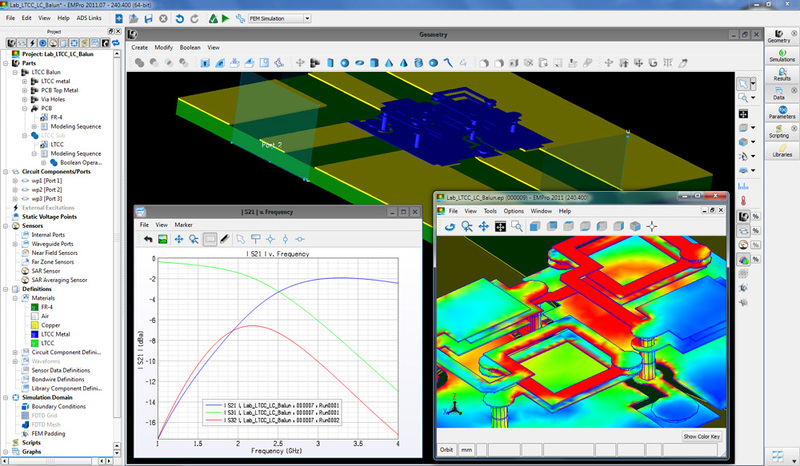 A fast, two-dimensional port solver that simplifies FEM simulation port setup, allowing users to quickly and easily determine the number of modes, reference impedance and optimum impedance line placement. Agilent's ADS 2011.10 is expected to ship in late October. The EMPro 2011.11 release will be available for download in late October. Pricing for the ADS and EMPro environments start at $8,000 and $7,000, respectively. More information on ADS 2011.10 and EMPro 2011.11 is available at www.agilent.com/find/eesof-ads2011.10 and www.agilent.com/find/eesof-empro2011.11, respectively. Photos of the new software releases are available at www.agilent.com/find/ADS_EMPro_2011_images.